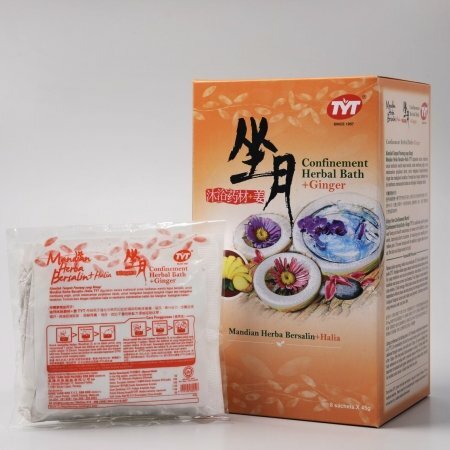 Confinement Herbal Bath TYT is the modern mum’s answer to health and cleanliness during her post-natal or confinement period (usually observed by Asian women for a month after they’ve delivered their babies). If you’ve had a normal delivery, you can bathe after 7 days. If you’ve had a Caesarean section, you can only bathe after 10 days. Although you may not bathe during your no-bath period, you are allowed to sponge yourself. You can now use Confinement Herbal Bath TYT to help you keep fresh and clean during your confinement period. Box contains 8 sachets. 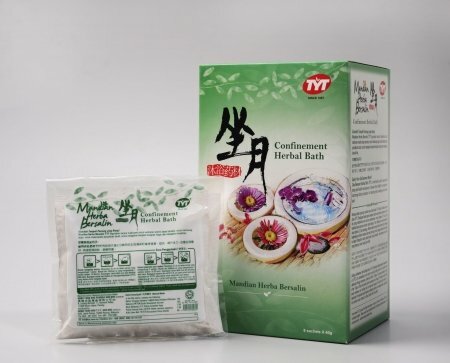 Weight: 40g / sachet.